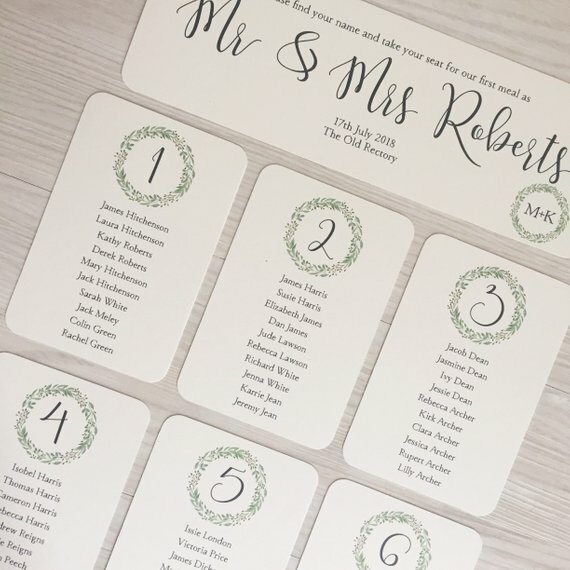 Are you looking for a way to cut stress from your table plan? We’ve found it! 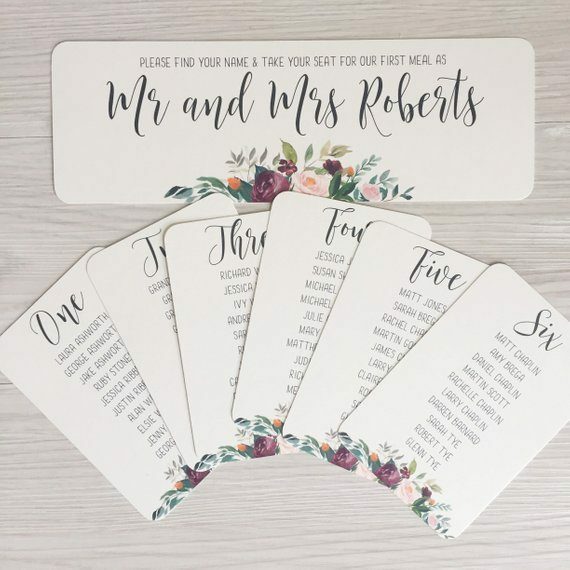 These wedding seating plan cards from Creationery are the easiest way to show guests where to be seated. They’re affordable, too, at under $3 per table card. 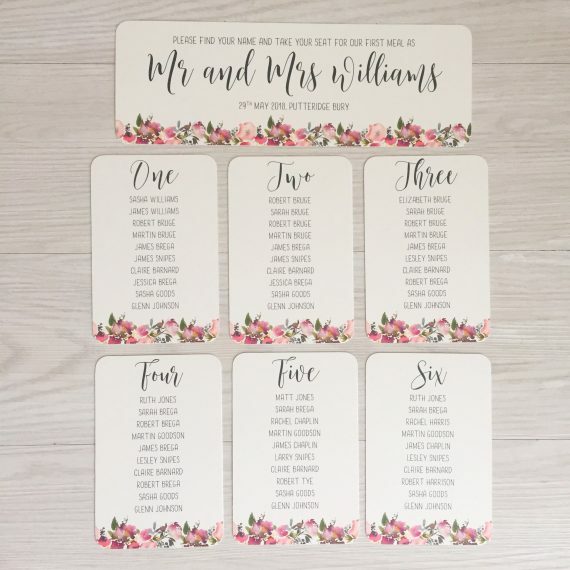 That’s a huge savings compared to traditional seating charts which are large, require an easel to display, and can cost a ton in shipping just to get to your door. 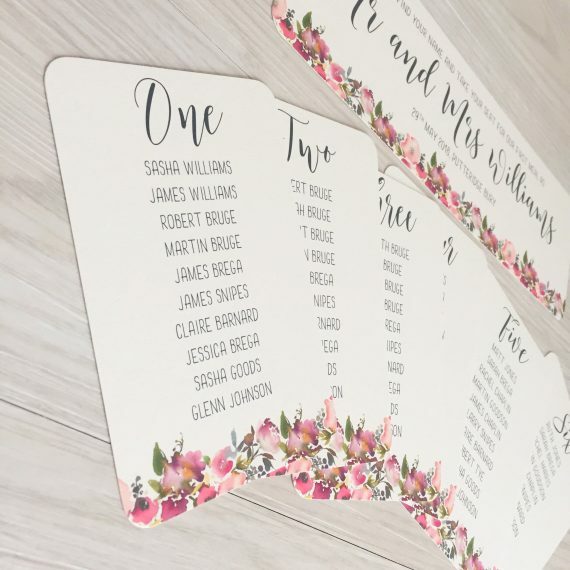 Instead, these wedding seating plan cards can be displayed near the entrance of your reception on a board, on the table, or framed. Take a look — it’s our handmade-a-day find! 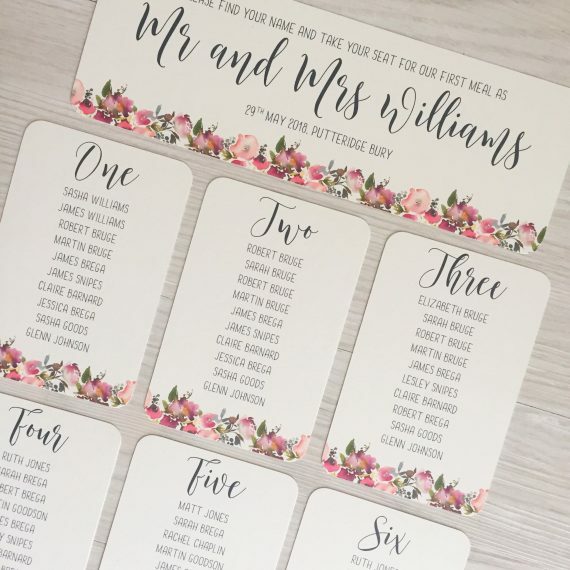 These custom seating plan cards are custom-made in your choice of design and/or colors. 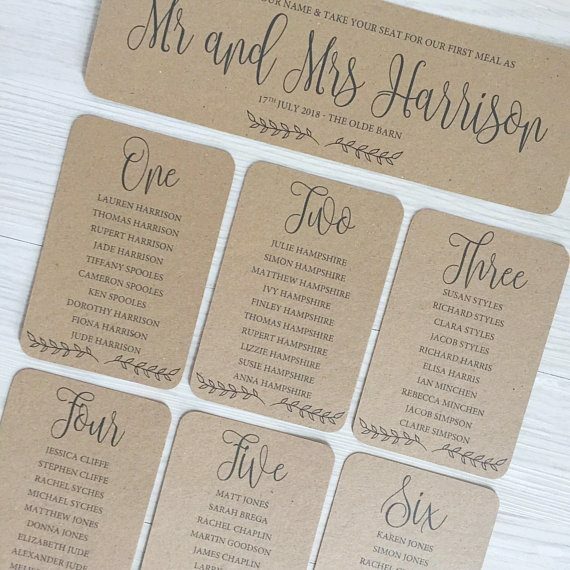 These cards feature elegant rounded corners, textured cardstock, and will make a great first impression on guests. Plus, they’re easy to read, so guests won’t have trouble finding their seats. This is one style I love from the shop, but there’s plenty of colors and styles to choose from. P.S. Please note: this shop is UK based. Due to international shipping, US buyers may need to submit your finalized guest list early to allow for proper design and shipment time. Please consult the shop for questions — Katy’s happy to assist.